Please click on the Metrolink map to obtain live Tram information from TfGM. To visit Wythenshawe Hall, Park, Community Farm & The Courtyard café please use the Airport Line and leave the Tram at the Wythenshawe Park station. 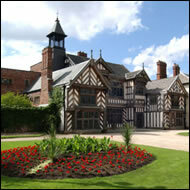 Friends of Wythenshawe Hall (FOWH). All rights reserved 2013.